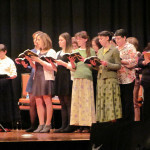 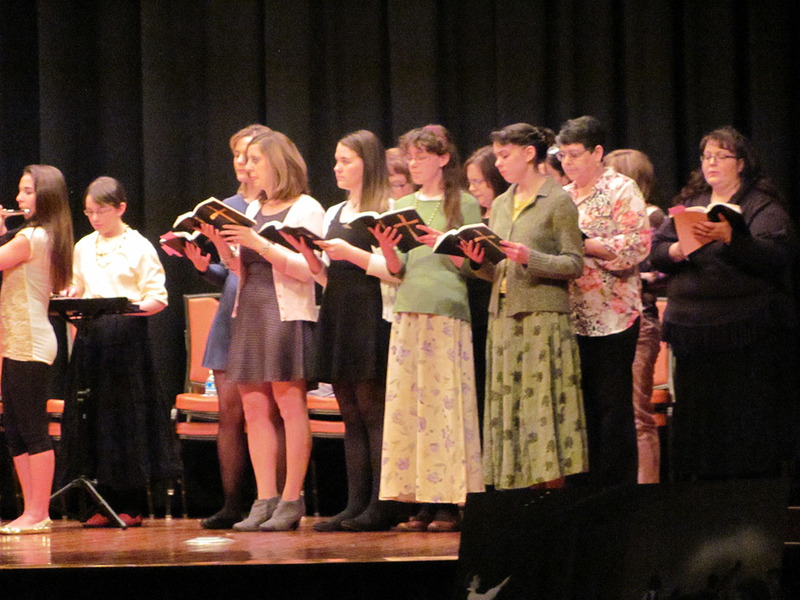 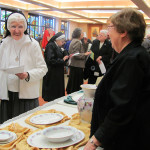 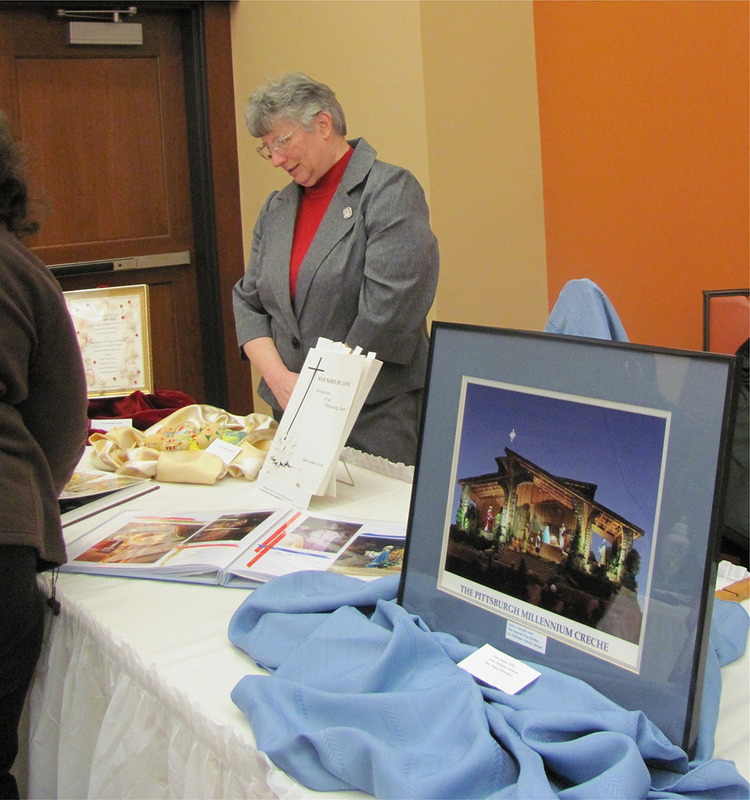 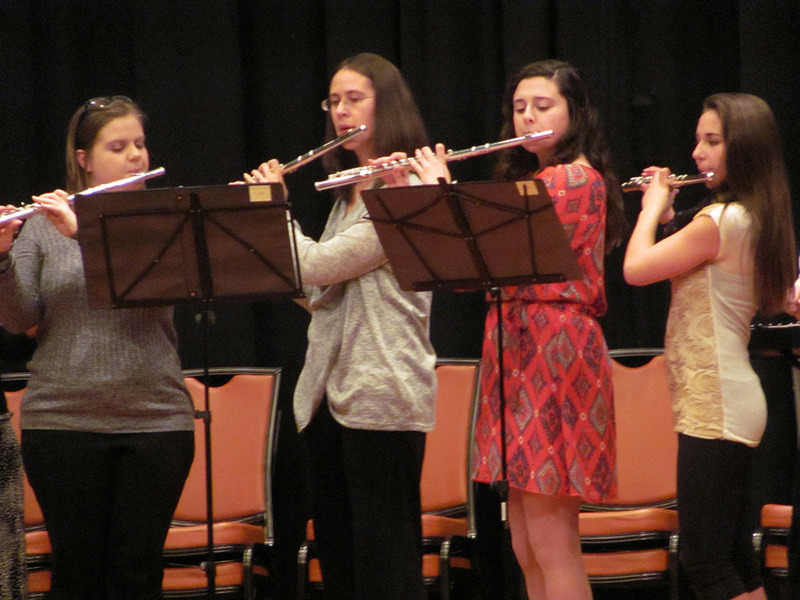 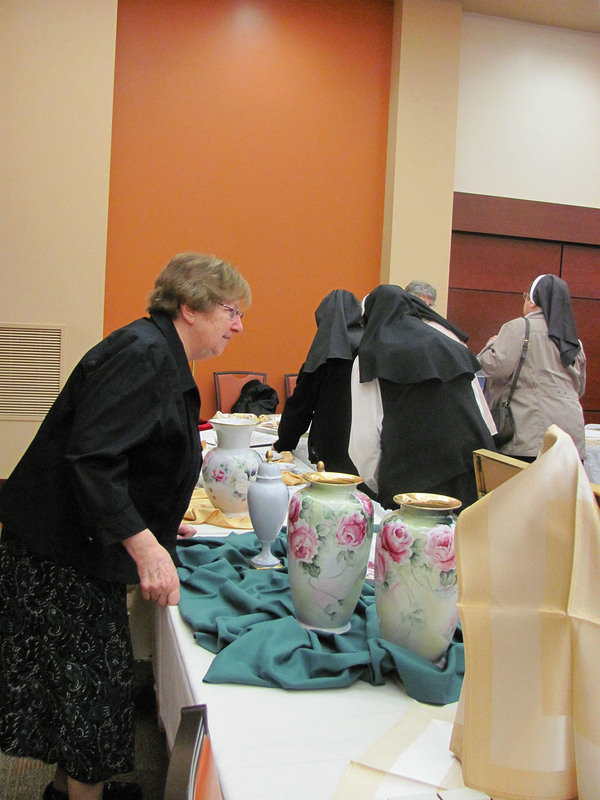 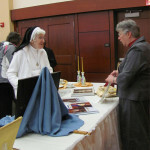 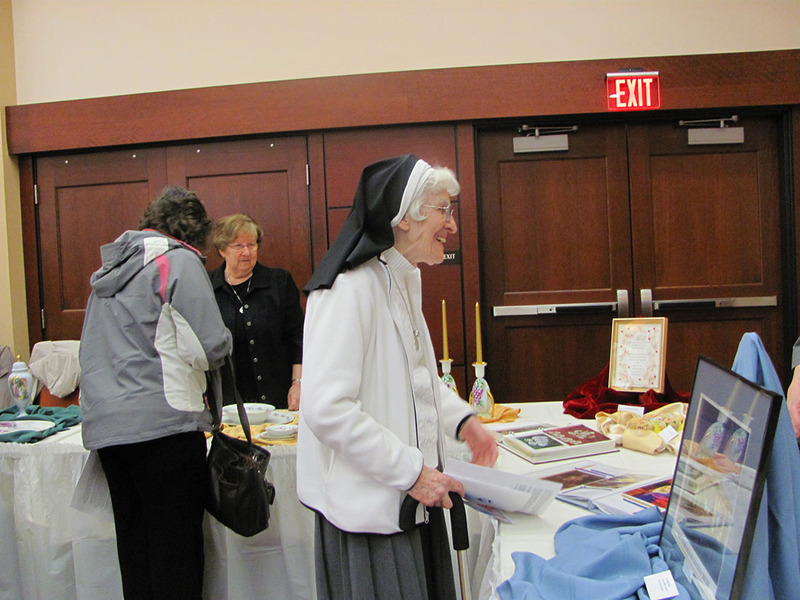 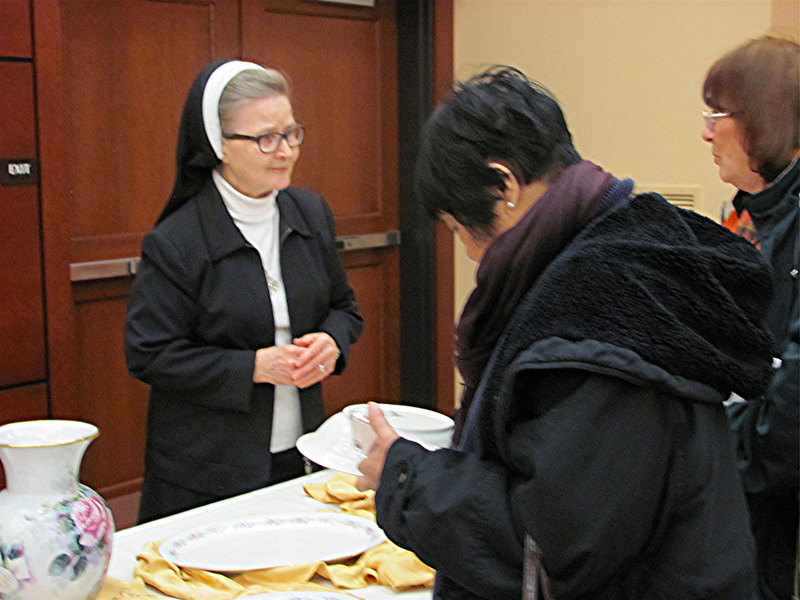 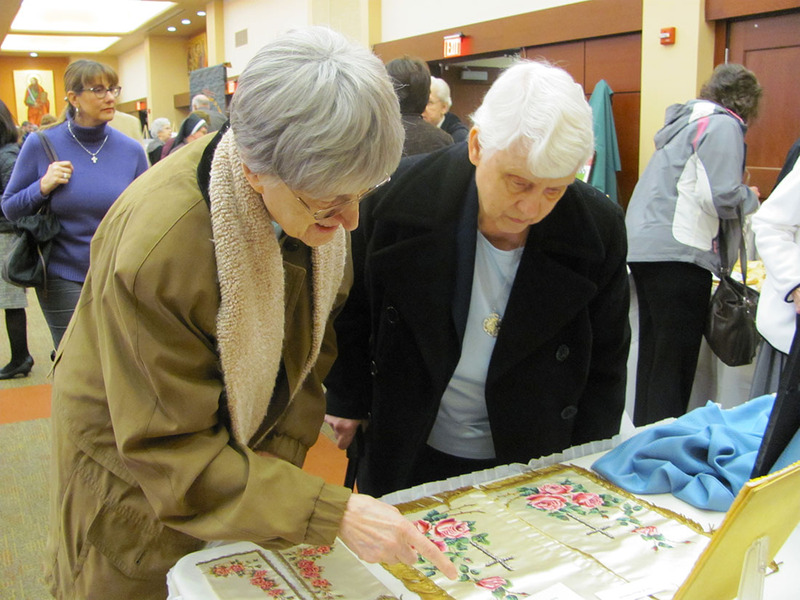 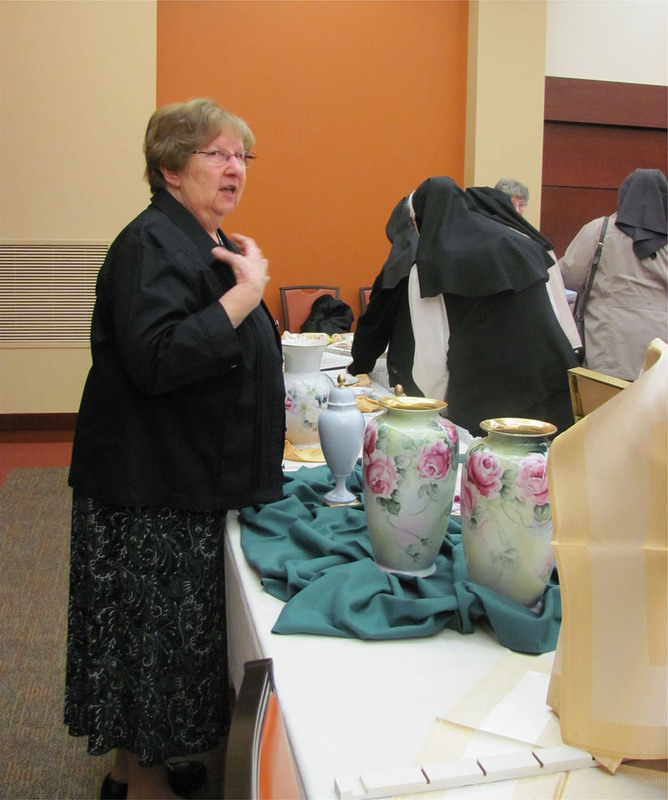 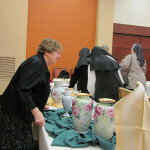 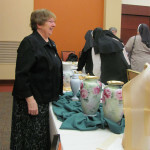 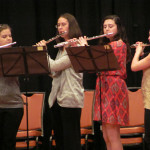 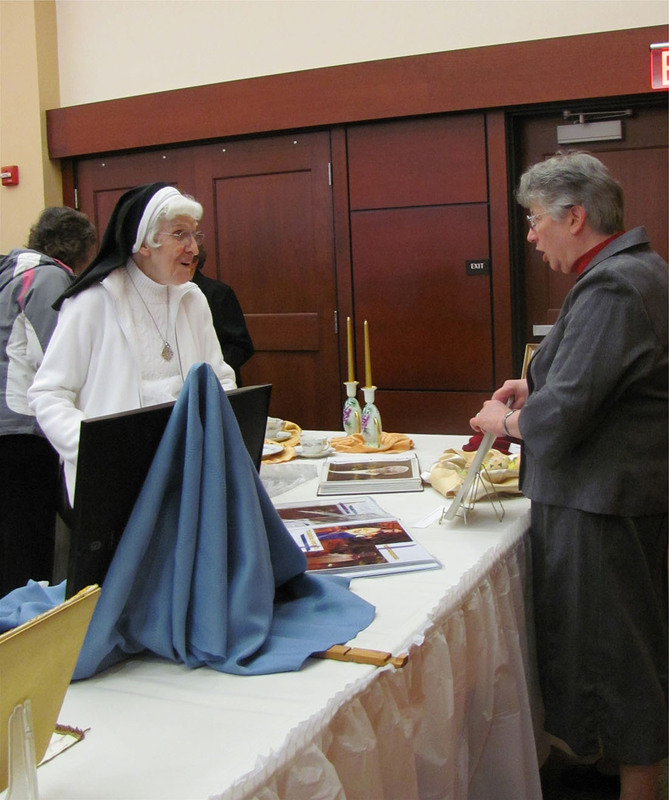 In conjunction with the Year of Consecrated Life, a Celebration of the Arts, planned by the Diocese of Pittsburgh to recognize the many ways that religious women and men have influenced the life and spirituality of the Church through the arts, was an outstanding success on March 6, 2016, at St. Paul Seminary. 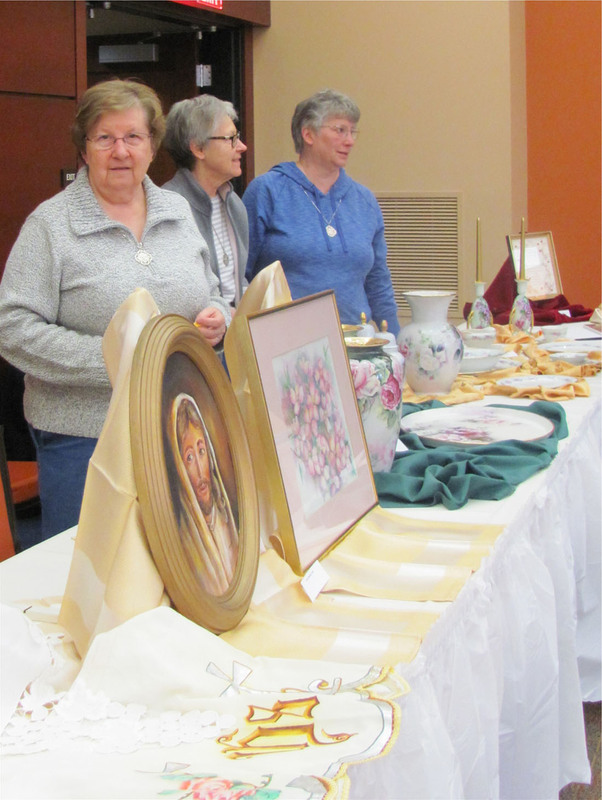 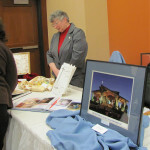 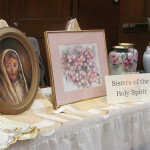 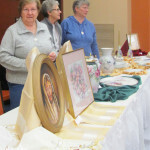 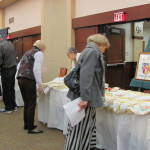 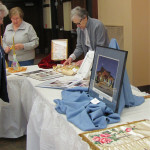 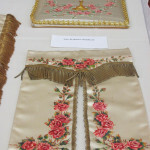 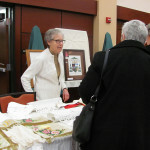 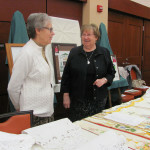 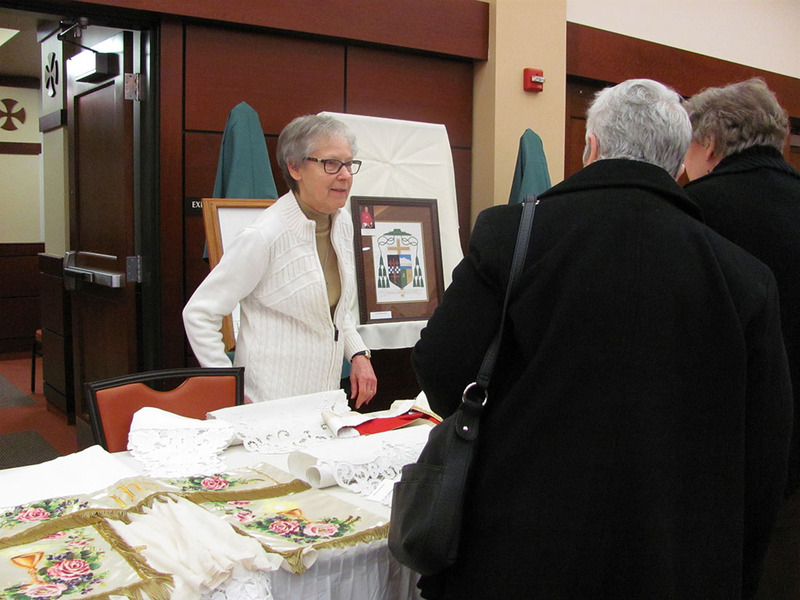 A variety of artworks by Sisters of the Holy Spirit was exhibited. 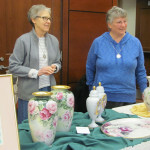 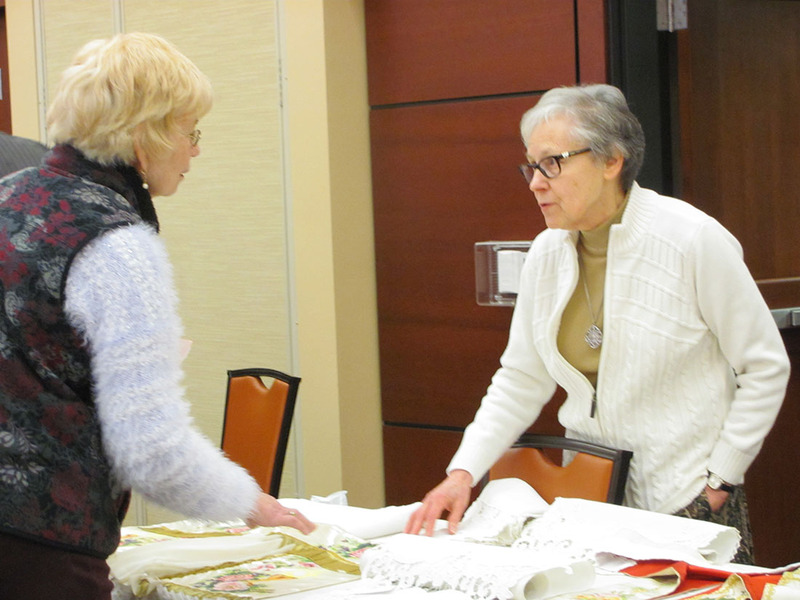 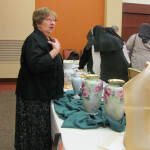 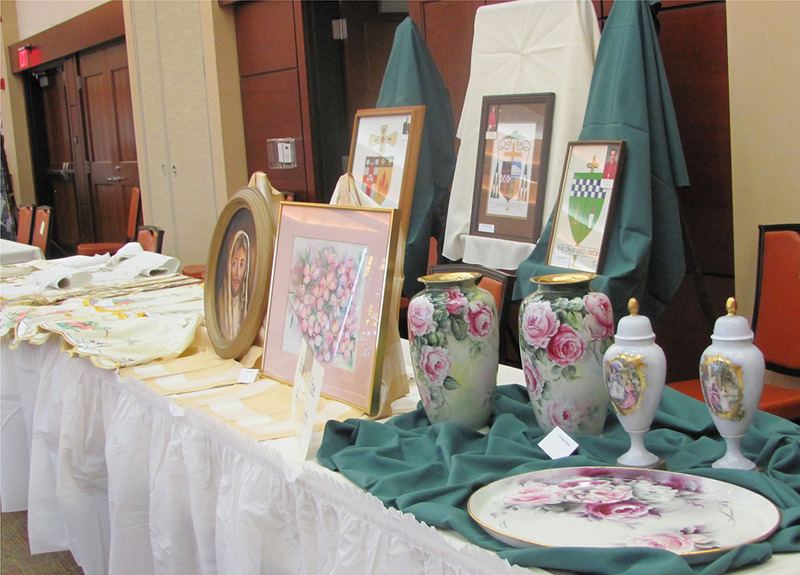 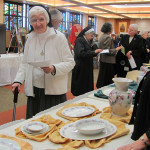 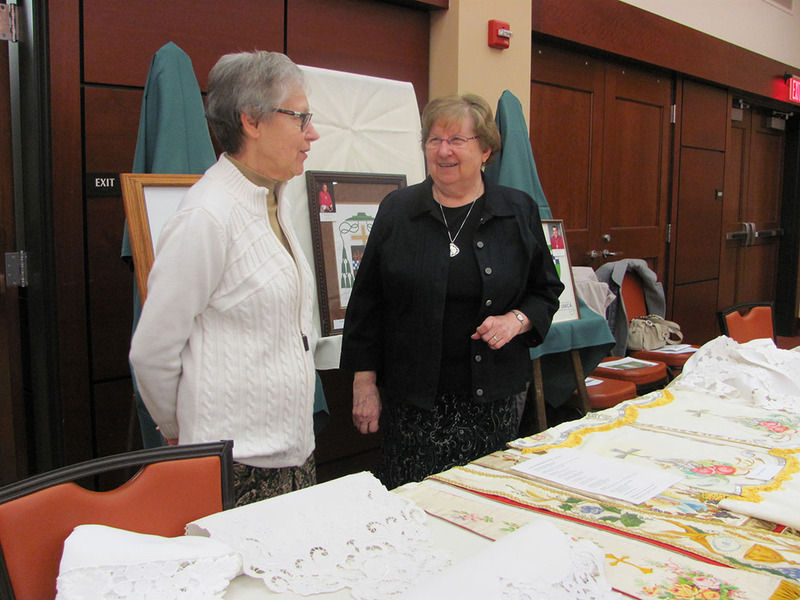 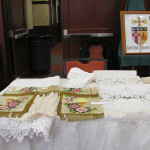 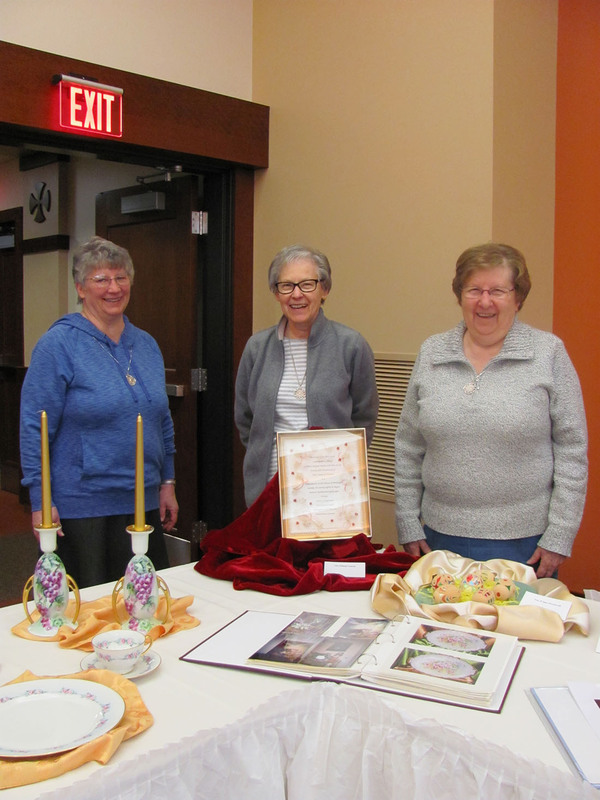 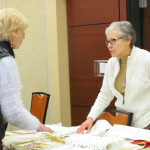 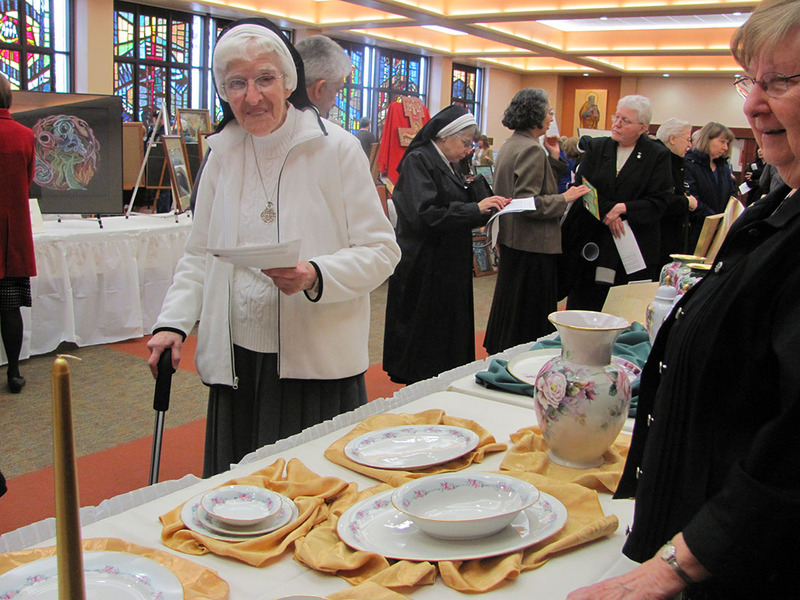 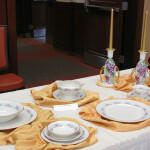 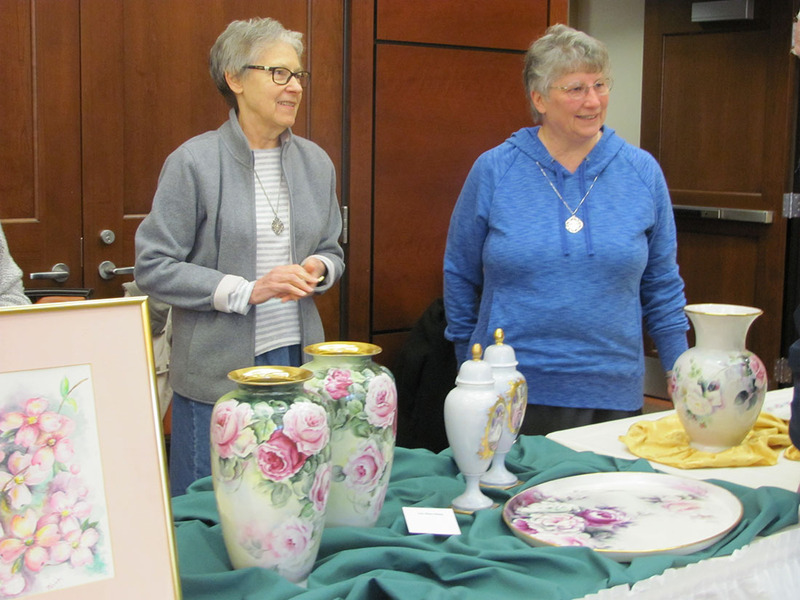 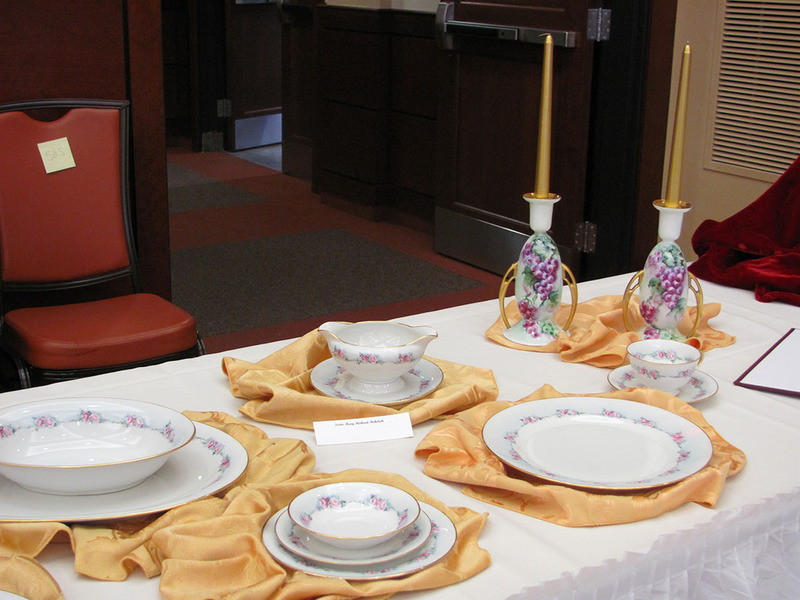 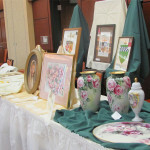 A one-place table setting, part of a twelve-place setting of hand-painted china, and a sampling of vases and candlesticks by Sister Mary Richard Mehelich were displayed. 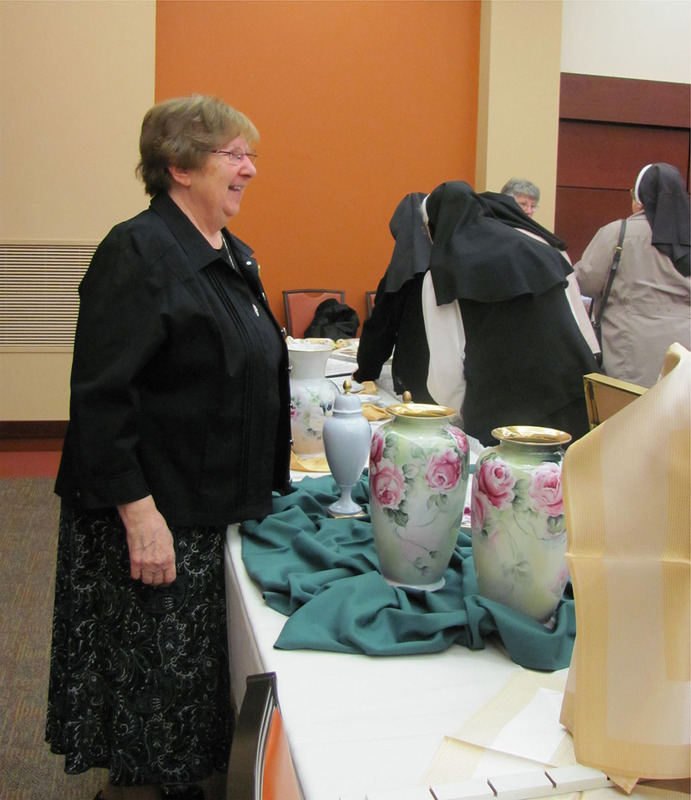 A beautiful hand-painted platter and two sets of vases by Sister Miriam Rohaley were wonderful additions to the china presentation. 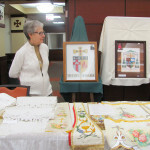 Also shown were the three Coats of Arms which Sister Richard had designed for three bishops. 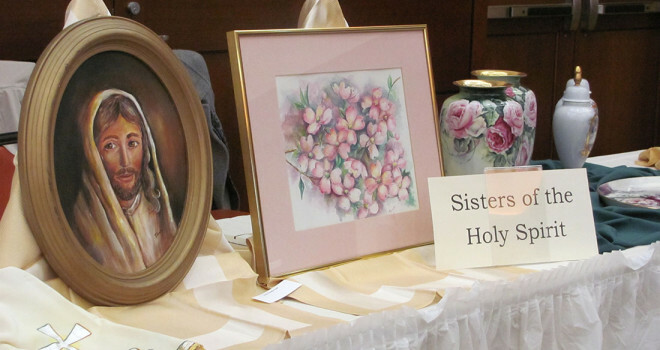 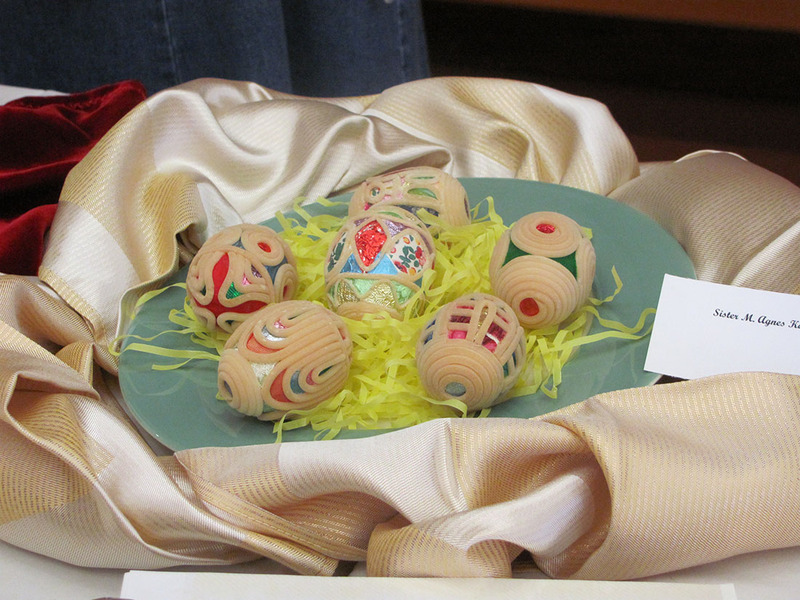 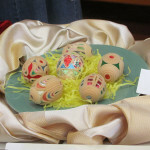 Beautiful oil paintings by Sister Consilia Tonti and a book illustrated by Sister Christina Marie Janusek drew many visitors to the site as did a quill art picture by Sister DeChantal Serwinski and hand created Easter eggs by Sister M. Agnes Kaczmarczyk. 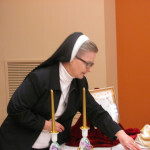 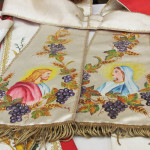 Photos of the costumes of the figures for Pittsburgh’s Christmas Creche were shown. 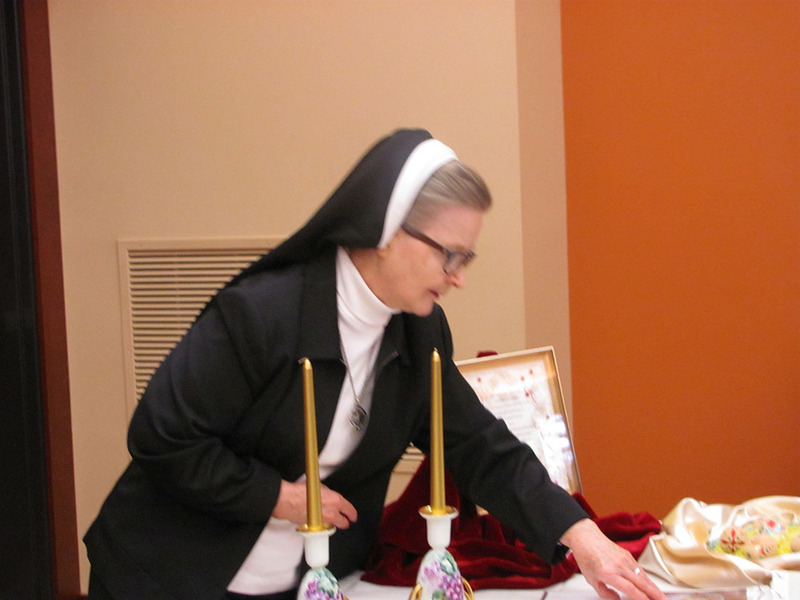 For sixteen years, Sister. 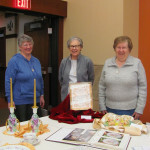 Bridget Miller, Sister DeChantal Serwinski, and Sister Patricia Hawrylak designed, sewed, and outfitted the Three Kings and later figures which were added to the popular Christmas display in downtown Pittsburgh. 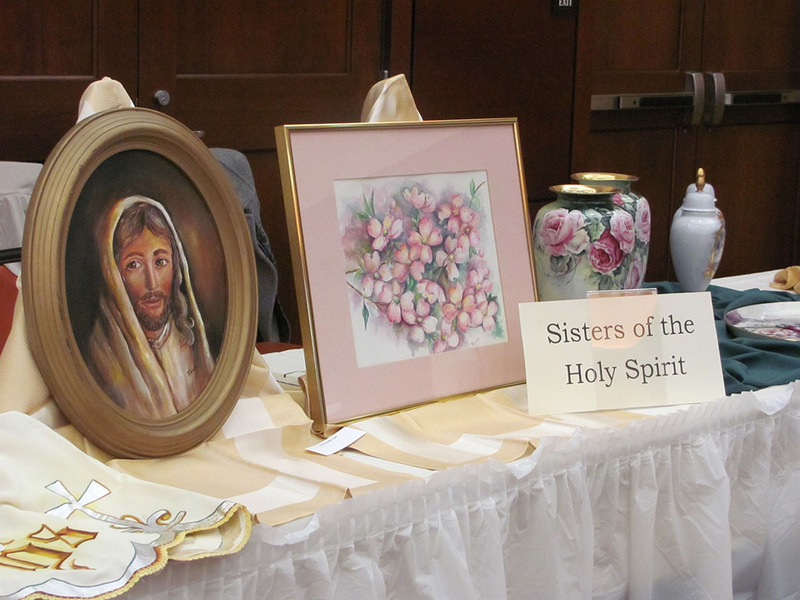 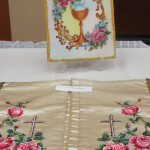 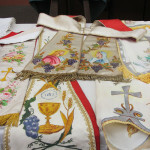 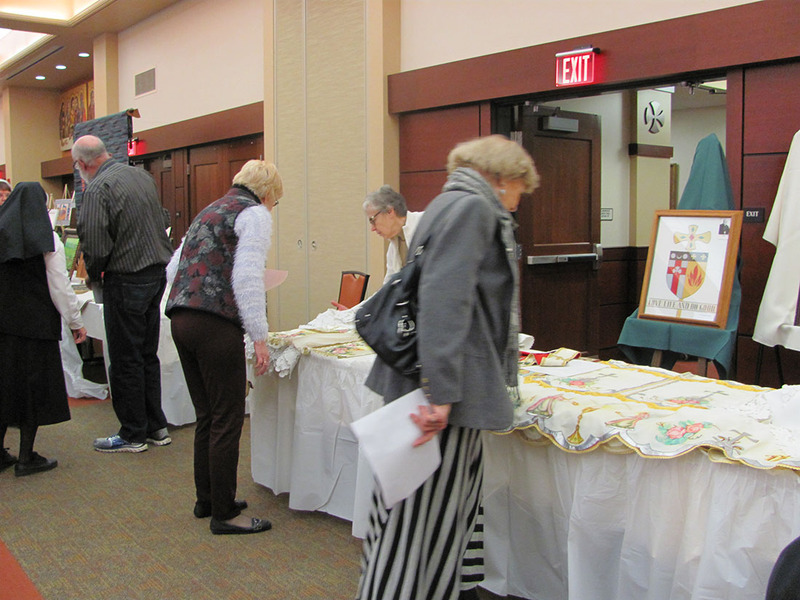 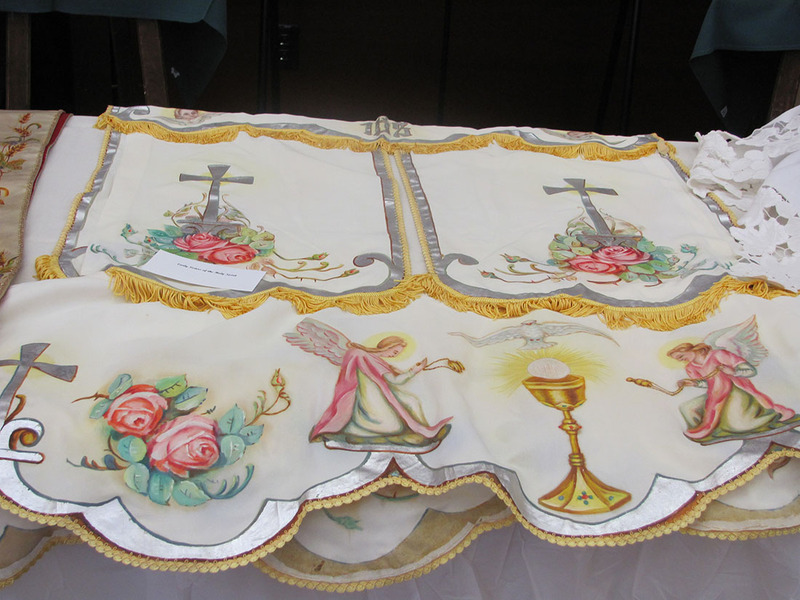 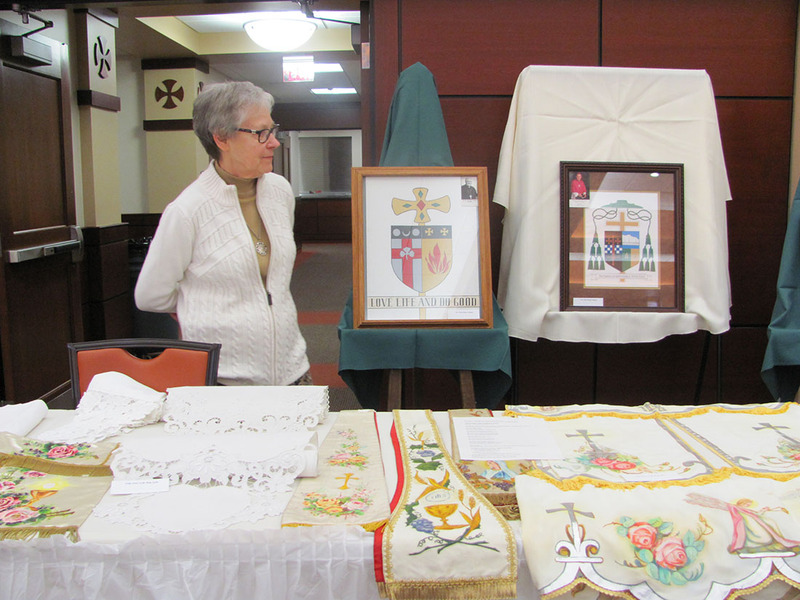 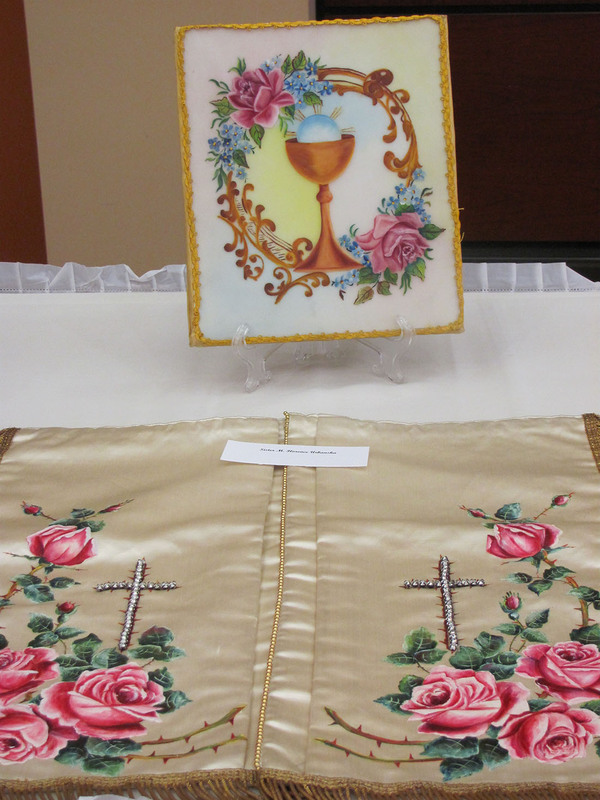 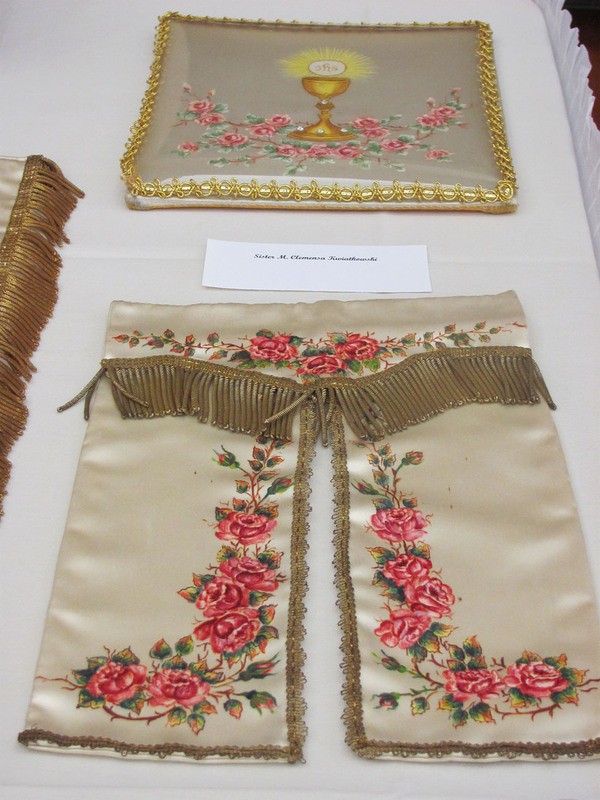 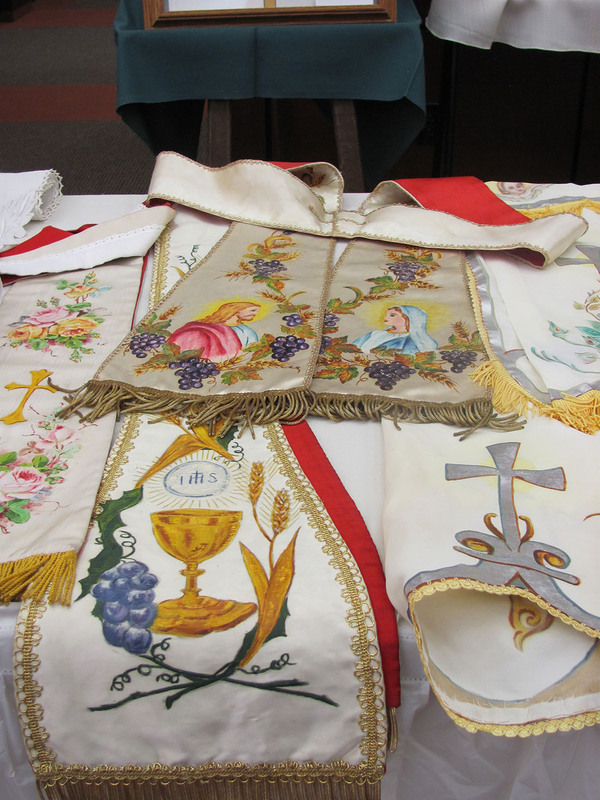 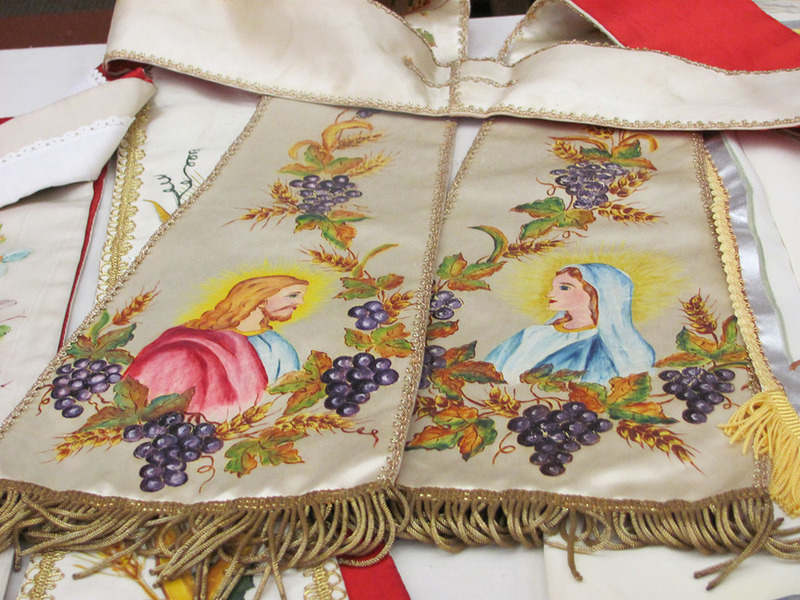 Hand-painted tabernacle covers, palls, and altar cloths by Sister Clemensa Kwiatkowski, Sister Florence Urbanska and various early Sisters of the Holy Spirit, were part of the presentation. 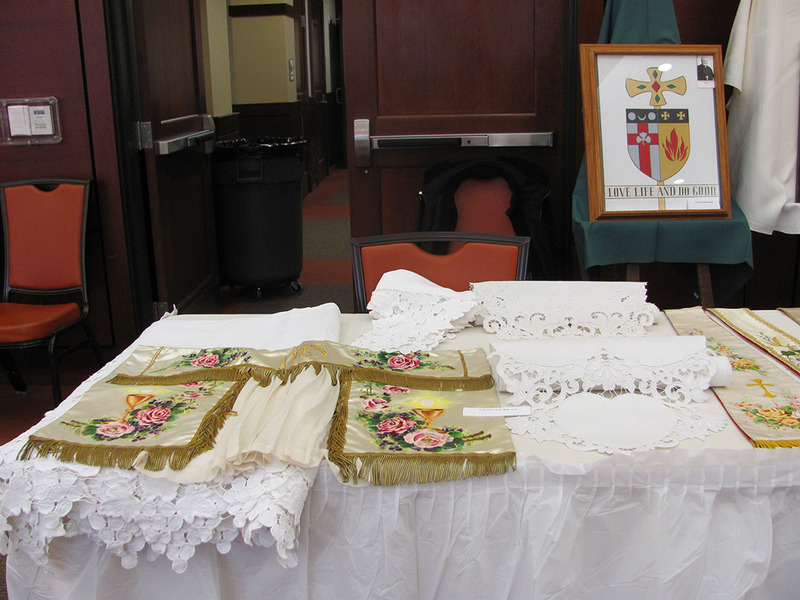 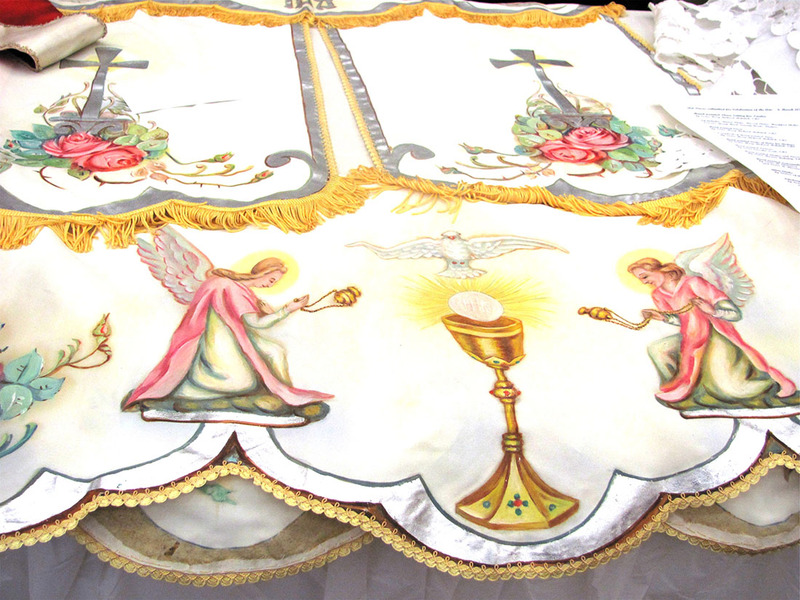 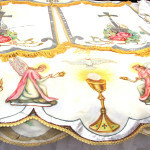 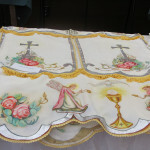 Additional cut-work altar cloths and pedestal covers added to the charm of this beautiful display. 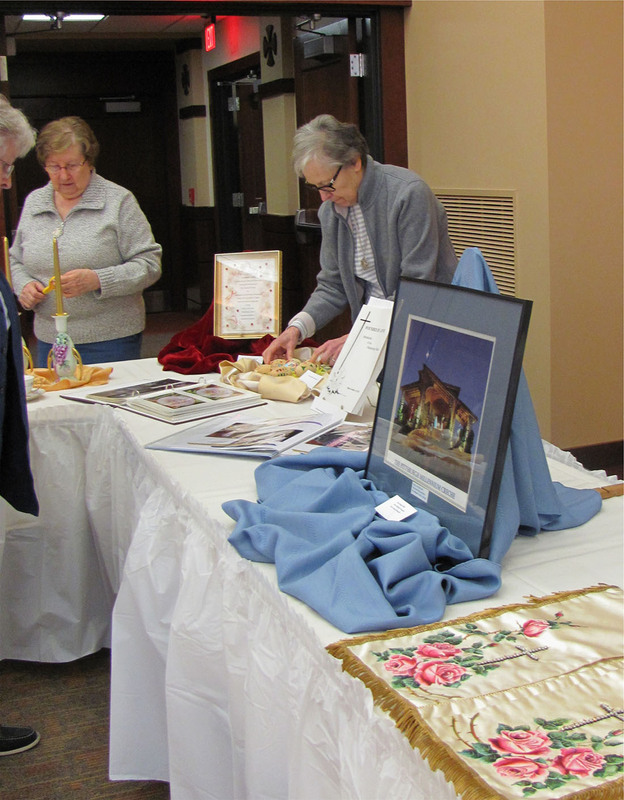 Months of planning elicited a wide variety of artistic presentations and performers from religious congregations as well as from lay people who have been taught and/or influenced by religious. 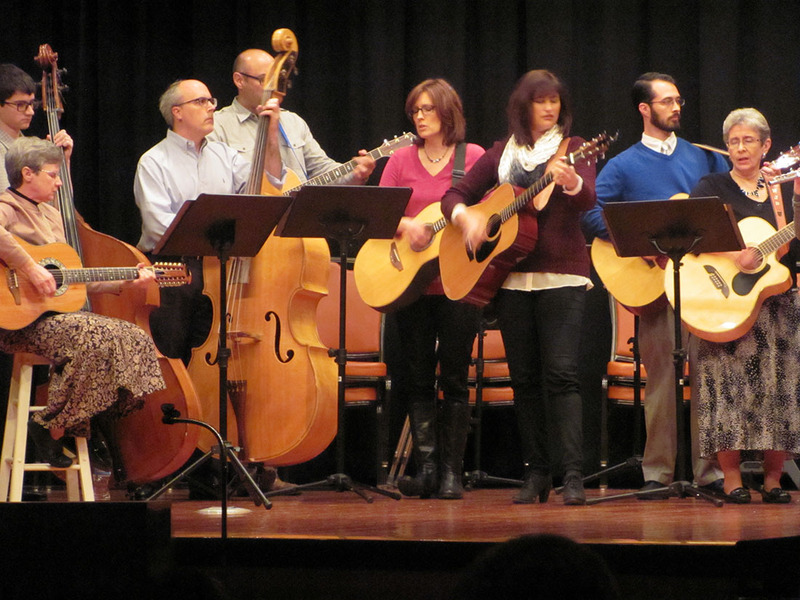 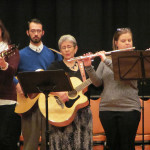 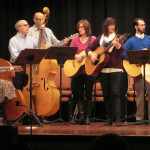 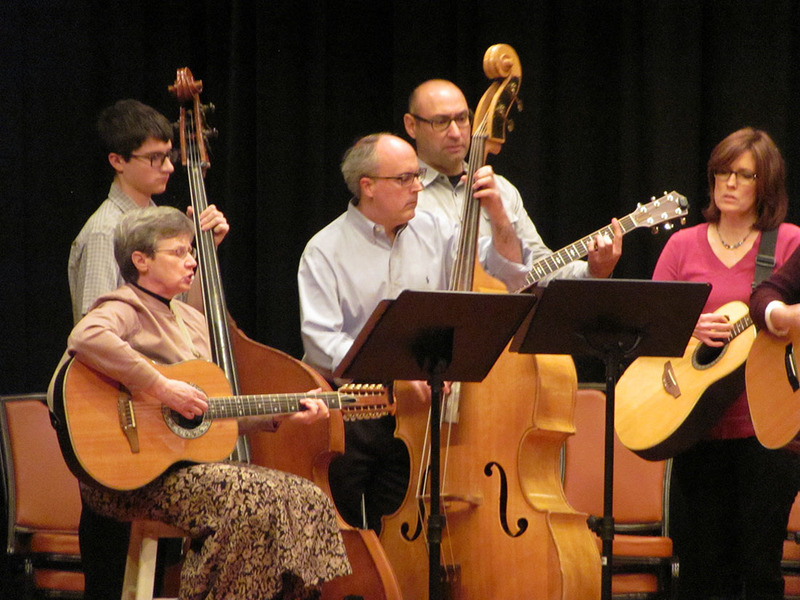 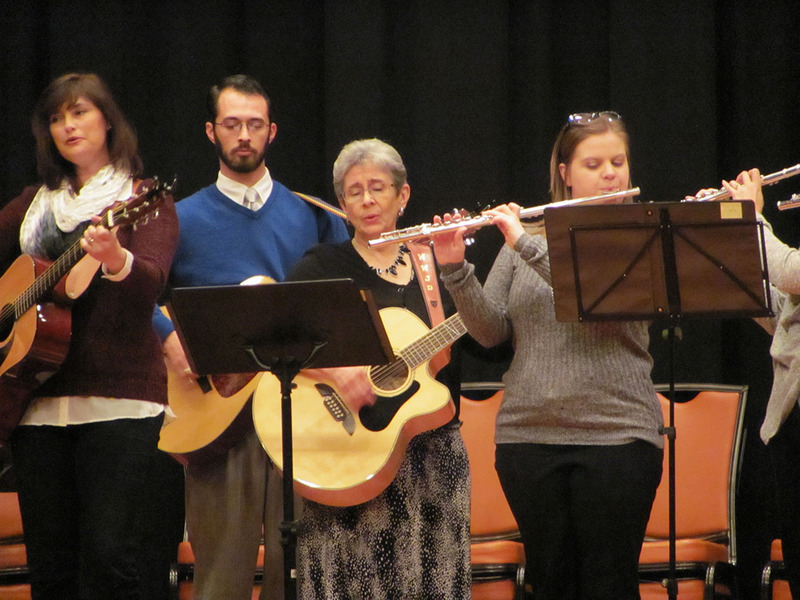 Our own Sister Janelle Banko and her folk group from St. Agnes Church in West Mifflin were among the performers at the event. 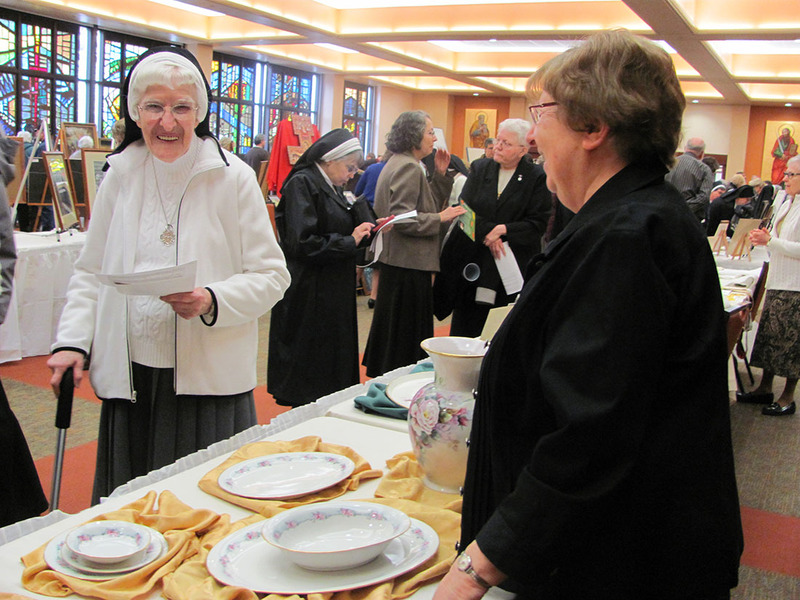 Sister Janelle had also enlisted former folk group members from St. Alphonsus Parish in Wexford to join them. 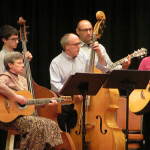 Some of them had traveled from out of state to rejoin the group. 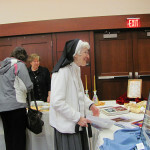 Prior to the event, Sister Mary Richard had been interviewed and video taped by Dave Crawley from KDKA TV news. 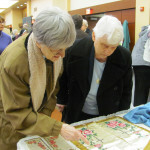 That bit of advertising was seen and tended to draw a crowd to the March 6th event.